Product code: 1134 Categories: Sold Items, Sold Rings. 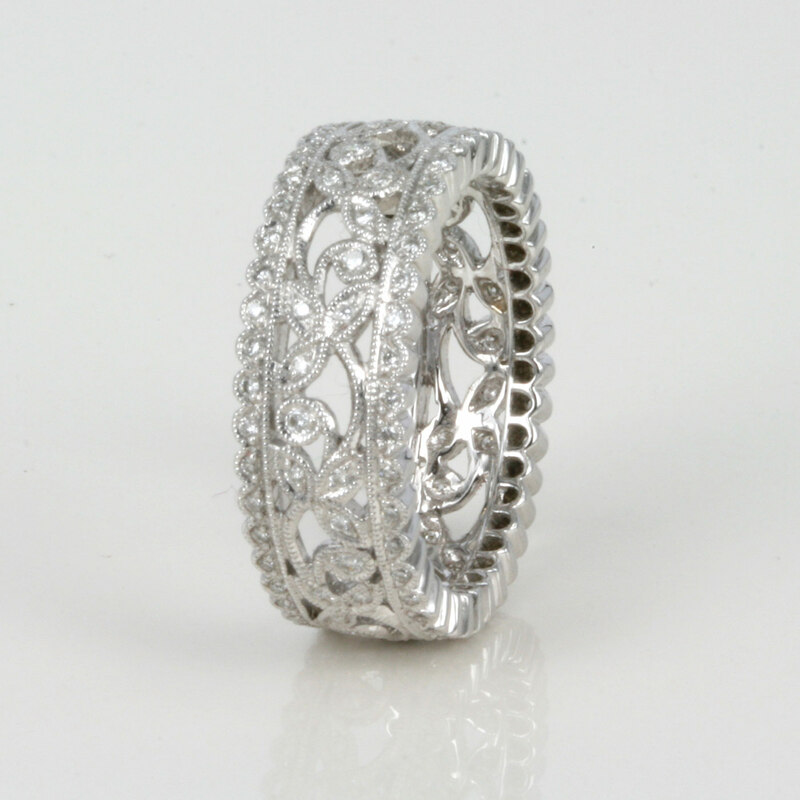 Here is a very elegant diamond eternity ring made in 18ct white gold from Lora Di. With a design reminiscent of the late Victorian to Art Deco period, the attention to detail is superb. With all the brilliant cut diamonds milgrain set, the total weight of the diamonds is 0.43 carats. The ring itself measures 7.3mm wide, and this ring can be ordered to any size and in yellow gold or platinum.